Are You confuse about What is the best operating system for gaming? Do you love playing games on your laptop/PC? Well so do I. That is why I want you to make the best choice of software, giving you an excellent gaming experience as I have. Gaming either on PC or laptops is the top priority for gamers, wholly and solely depends on your operating system. The OS along with powering your computer great influences your gaming experience on the laptop. As we all know that the operating system allows the users to perform essential functions of the computer, with managing all the peripheral hardware and software, it accesses the CPU for storage or memory purposes. You can simultaneously run applications on your system because of your operating system. All the laptops, PCs, tablets, servers and smartphones require an OS, that’s why specific operating systems are used by the developers who are more conducive to application development and programming Laptops. Many years ago MS-DOS was the only operating system which enabled you to engage in gaming. Due to its complexity, people urged the need for a better alternative which should also feature a natural user interface. After several years, platforms with new variations are designed and developed for gaming purposes. We want you to fully enjoy the games which you like to play on your machine. 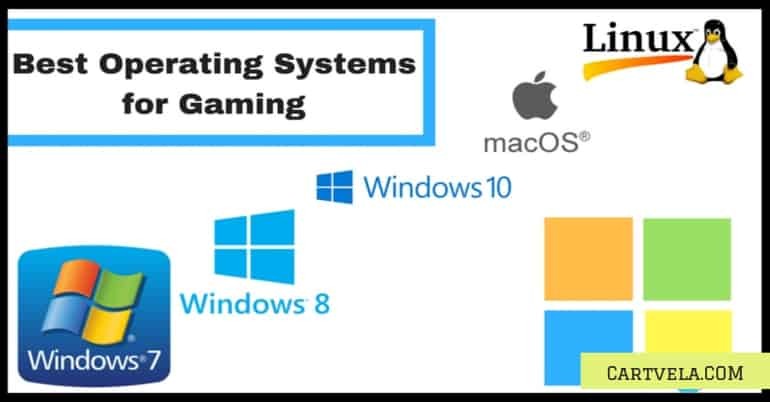 In this article, we give you the accurate information of what is the best operating system for gaming? Microsoft’s latest operating system Windows 10 doesn’t let you down while gaming. Being highly efficient and optimized, they are always working hard for the improvement of gaming experience in Windows 10. Today your gaming experience can be unified between one console, Xbox and PC games. With Windows 10, keeping gaming as one of its priorities, it is highly efficient and optimized. Thus on this operating system, so it will run the games you play even better. Microsoft’s latest version, the inclusion of Direct X 12 provides a platform being famous for power games. The fact that with all new features, this operating system continues receiving regular updates; this is the best windows for gaming. 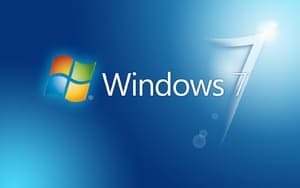 Except for Windows XP, Windows 7 have been the most popular operating system of Microsoft to date. Offering a quick and rock-solid performance like XP, it came with a more updated look making everyone in love. It attracted more gamers because of the Direct X software. They managed to keep the title for years. It lost its gaming dominance because of windows 10. There are many reasons for which it favored. Firstly Microsoft ensured that it runs even the latest software’s like the latest Direct X software. Forget the most out of its performance; gamers could tweak its customizable settings. Being more efficient and stable made it more attractive for players enabling them to update their systems. It targeted those gamers who wanted to have the best performance with avoiding power hungry features of Windows 10. Windows 8 seems far down in the list from Windows 7 and Windows 10 because it failed to have the widespread adaption and the support it got from Windows 7 and Windows 10. When I experienced Windows 8, it had better performance and faster loading as compared to windows 7. So you don’t need to worry, Windows 8 is good for gaming. Having a standard interface, it does an excellent job of running games. As windows, 8 will support for many years, so it expected that game maker would continue releasing games which compatible with Windows 8. Though Windows 10 is much better than windows 8, still windows 8 is a respectable alternate of windows 10, doing a great job by running your favorite games. Having a million users around the world, Apple has done a great job of building machines for powerful gaming. Mac OS has an efficient and rock stable operating system with plenty of memory and good graphics cards, but this platform doesn’t support many games. As Apple seems to cover almost 10 percent of the market, so they are among the vast minority of the gaming market. So most game makers don’t invest porting the game to this platform, as they don’t think they will have an adequate return of their investment. With little change over the years, games now released for both the Mac and the PC. Linux isn’t having much support of gaming developers, but this trend is changing now. Well thanks to the support through Steam OS, to resurrect the importance of Linux. You can still find a few games supporting Linux platform, and even there are different ways to run PC games by using software such as wine. For the love of freedom and security of Linex, you can increase your gaming sessions by running Steam OS on your machine. Windows XP is among Windows most popular versions ever released. It looked great and was rock solid, supporting the latest applications and software in its time. Similarly, it was trendy among gamers, and every PC game was made to run with Windows XP. Windows XP is responsible for where PC gaming stands today. That’s why I felt its name needs to mentioned in this list as it contributed a lot to gaming. Even though developmental leaps took place in a few years, still, none of the above OS can compete to keep up with the latest operating systems of Microsoft except for Windows 10. Windows 10 is being the top performer for gaming performance but still, Linux plays catch-up at a wonderful pace. For having the best performance possible and playing gaming titles of the modern day along with running decent hardware, only Windows 10 can help you with the best performance. I hope now you decide better that, what is the best operating system for gaming and other activities.